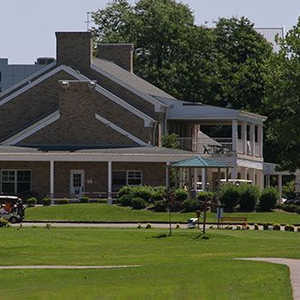 SOLON, Ohio -- From the opening tee shot to the final putt, the Hawthorne Valley Golf Club is a living, breathing museum of golf southeast of Cleveland. Hawthorne Valley is a living, breathing museum of golf. 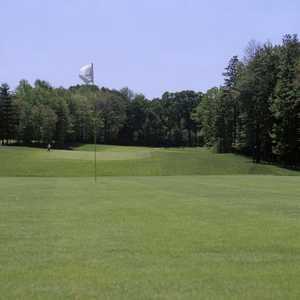 Hawthorne Valley Golf Club in Solon is a Donald Ross design that is considered one of the best public golf courses in Ohio. Since opening in 1926, the course has undergone several improvements over the years that have built upon its longstanding reputation. If he were alive today, golf's grandmaster Donald Ross would probably be proud at how well his 6,533-yard par-70 course has survived the passage of time. The once-private Hawthorne Valley, established in 1926, turned public in 2010, inviting a whole new generation of players to cherish its classic design. 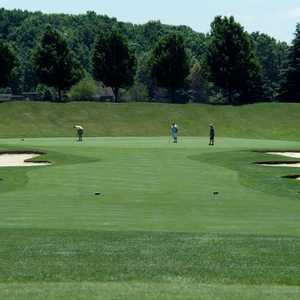 Golfweek ranked Hawthorne Valley fourth among the state's top public courses for 2013. George Shapiro, a lawyer from Shaker Heights, has an emotional connection to the place. He learned to swim at the club, where his grandfather was a member. He's thrilled it has been given a second chance by turning public. "It is this great old course that's been preserved," he said, sitting at the bar before a recent round. "You can see how it fits into the contours of the land. The creeks make it unique. There is water on almost every shot. You hit a bad shot, and it punishes you brutally. You have to learn to take your medicine." Once players hit the opening tee shot off of an elevated tee, they descend into a valley lost in a time capsule. There are no homes, just one intriguing dogleg after another. Much of the routing Ross laid out is still intact. General Manager Bob Zeman said a lake was added between holes 11 and 17 and another pond on hole 15 in the early 2000s to cure course wet spots. Around that time, bunkers were added on four holes to provide the fairways more definition. New tees on holes 6, 9, 11 and 16 added distance for the modern game. The addition of the lake makes the 11th hole play a bit awkward, forcing a layup off the tee, but there are so many other subtle joys to be discovered throughout the round. Trying to cut the corner of the dogleg on the short 483-yard 13th hole, a par 5, could provide an easy approach to set up eagle. Any stroke earned could quickly be taken away at the 207-yard par-3 14th hole. It takes a healthy hybrid or fairway wood to reach a severely elevated green. The 16th fairway tilts harder than the Leaning Tower of Pisa. "A lot of people come here just because it's a Donald Ross course in good condition," said Robert Jersan, the course's assistant golf professional. "It's challenging. I can't think of another course anywhere with greens this small. You've got to have a solid short game because everybody misses greens out here. You have to think your way around the golf course. I wouldn't hit many drivers, even though it plays longer than the yardage because of the doglegs." Hawthorne Valley Golf Club was, by far, my favorite round during a recent tour of six top public courses surrounding Cleveland. It's got character and history and great perks to entice return play. The day I played free donuts were available in the magnificent clubhouse for other early birds like me. A nice lunch buffet served burgers, hot dogs and salads, offering the chance at a pit stop after an early round or before a late one.